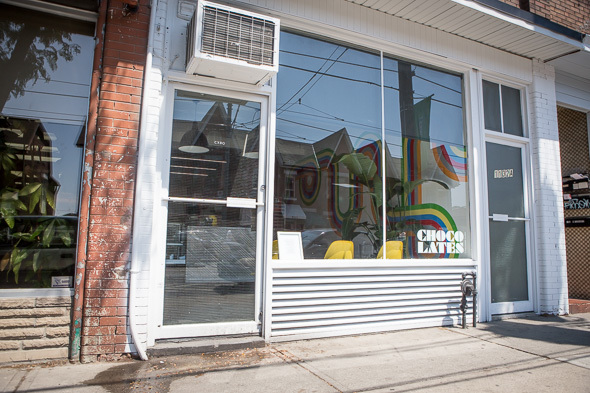 Chocolates X Brandon Olsen turns out unique and gorgeous chocolate creations that were once hard to find in Toronto. 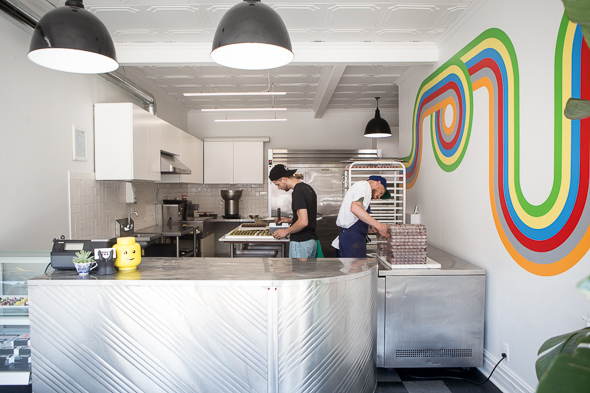 Olsen, the former chef de cuisine at Bar Isabel (prior to that, he worked at Black Hoof , and before that, he trained under Thomas Keller at The French Laundry plus Ad Hoc in Napa Valley), entered the sweets biz with his partner, artist Sarah Keenlyside . 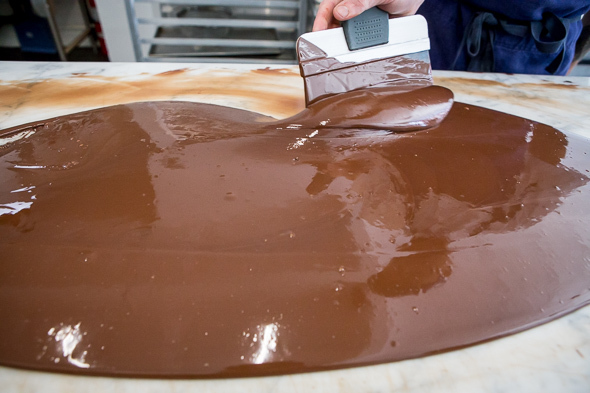 Self-taught when it comes to chocolate, Olsen can often be seen tempering chocolate in his workspace behind the front counter. 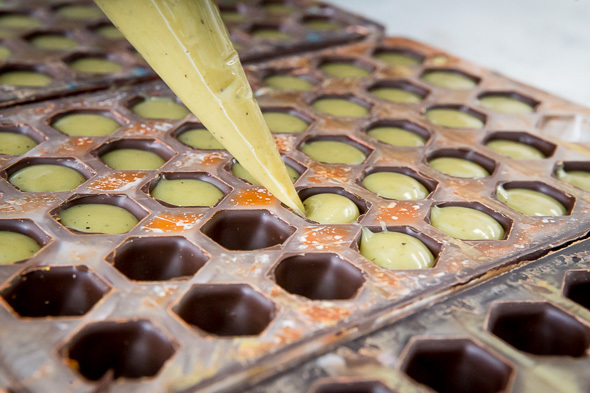 In this back space, he makes edible creations, like chocolate bonbons and caramels, along with pâtes de fruit. 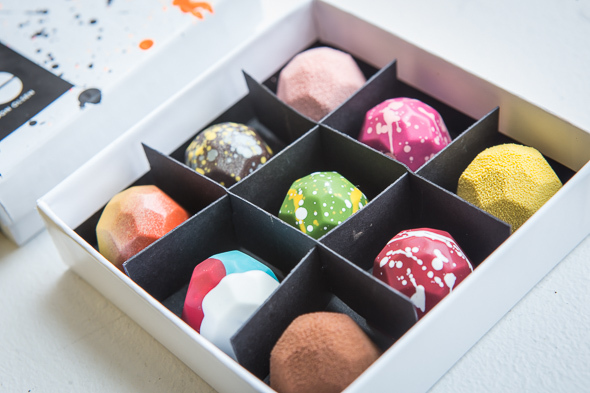 Instead of selling the chocolates as individual pieces, Olsen and Keenlyside prefer to group them into cohesive collections. For them, the fun is in coming up with new, exciting creations and themes (they also do custom orders). 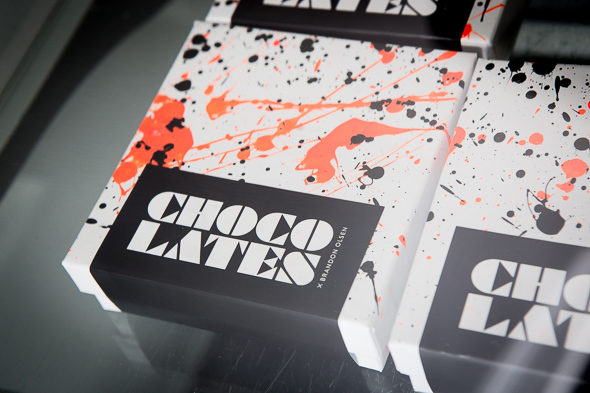 Olsen orders his chocolate from Cacao Barry and makes everything by hand (even the boxes are hand-painted in the basement). 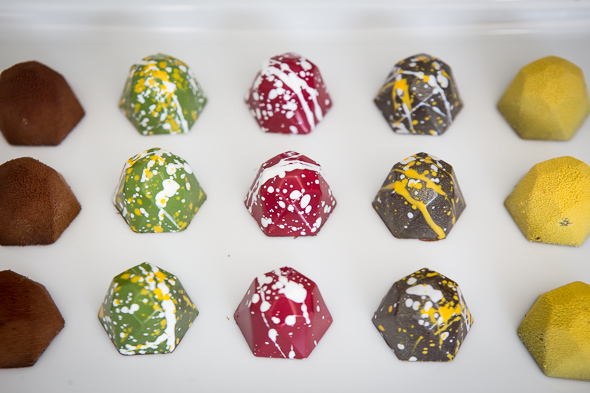 The Classic collection, or as Olsen calls it, "the OG collection," contains nine polyhedron pieces ($20; or 18 for $40), each one with a unique flavour combo (some of my faves: orange blossom & honey; cinnamon & brown butter; and pistachio & bergamot). I gift a box to my friend for her birthday and she proclaims them to be delicious, lovely jewels. There are also limited collections, where the flavours will depend on what's in season. If refrigerated, the sweets should be good for two months (it's recommended they be left out at room temperature for at least 10 minutes before eating for optimal flavour). Out of the fridge, they'll last for two weeks, although from my own personal experience, they'll be devoured long before then. 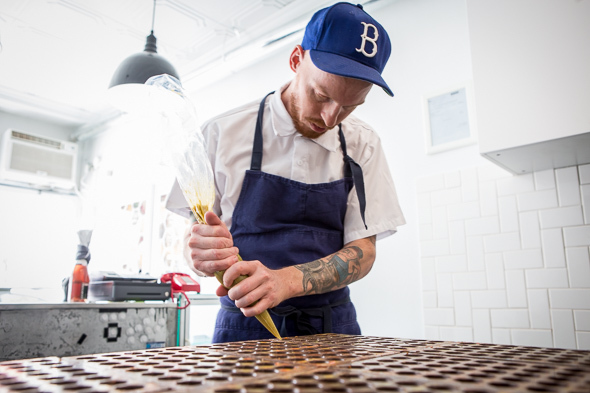 Olsen tells me he always wanted to be a pastry chef (he even has two Charlie and the Chocolate Factory tattoos on his arm), but he says there isn't much of a demand for that in Toronto kitchens. So now he's doing what he loves with Keenlyside. 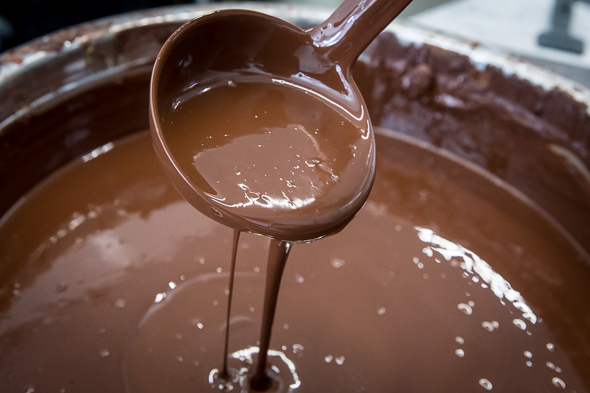 "My body runs off of sugar - off of chocolate," Olsen says. "I don't do drugs or drink, so this is my thing."